Breslau is only 3000 hectares in size with a very low carrying capacity. Especially for elephant. Over 120 elephants had crossed the Limpopo River into Breslau and were causing significant damage to the habitat and properties. Considering the norm is to have 1000 hectares per elephant, it was just not sustainable to have this density of elephants on this property. The owners would have had to consider the option of culling if they could not get the elephants off the property. In addition to this, the neighbours had already applied for CITES permits to hunt elephants which were moving from Breslau into their area. The price on the larger elephants was estimated at R 700 000.00 for hunting. The owners were willing to do anything to avoid the culling/hunting and asked ERP for assistance. Due to the fact that Breslau is a private property, we informed the landowners that ERP would only be willing to cover 50% of the funding for the operation, which was agreed to by the owners. We appointed a helicopter pilot which flew for the translocation of 500 elephants in Malawi. He has significant experience with elephants and our plan was to guide the elephants out of the reserve. We had to build a temporary holding area for the elephants to ensure we could allow them to walk back through gaps in the fencing without injuring themselves or running into fences. The temporary holding area consisted of a 1,3 km temporary fence of 2 electric strands. We then guided the elephants with the helicopter and a ground crew to the holding area. We managed to guide 92 elephants into the holding area and many of them have since walked over into the Limpopo River and onto their home in Botswana in a relaxed manner. The additional 32 elephants had walked back into Botswana the night before the operation started. Breslau is now secured with new electric fencing to ensure that the elephants do not find themselves in the same position again. (This was a condition for us to provide funding). 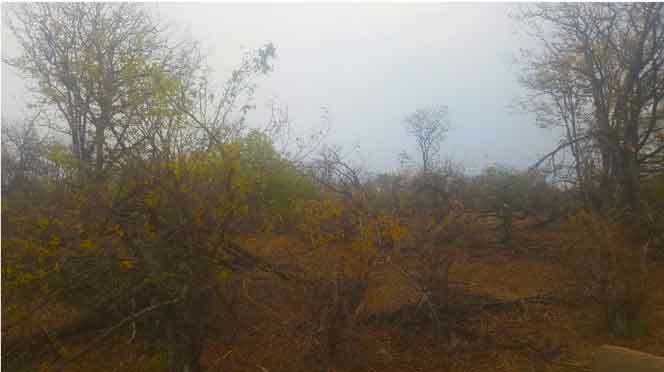 Elephants have moved into the Tuli Block which is an existing Protected Area called the Tuli Circle. The total area is 800 000 hectares in size.